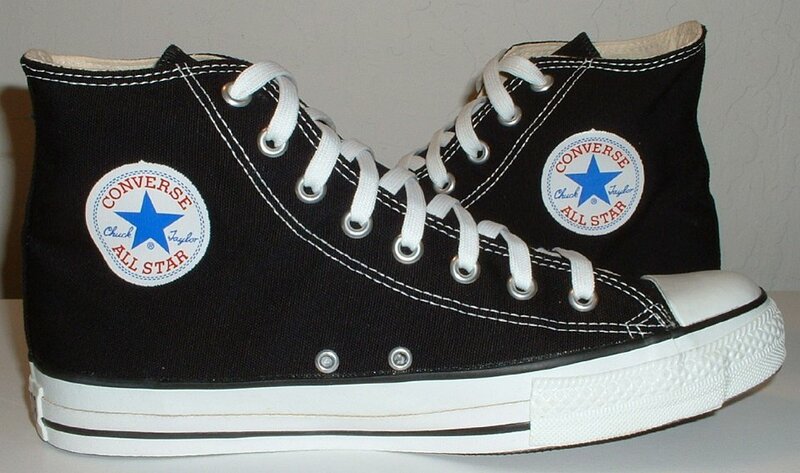 Photo gallery of a single pair of new Converse All Star Chuck Taylor high tops. 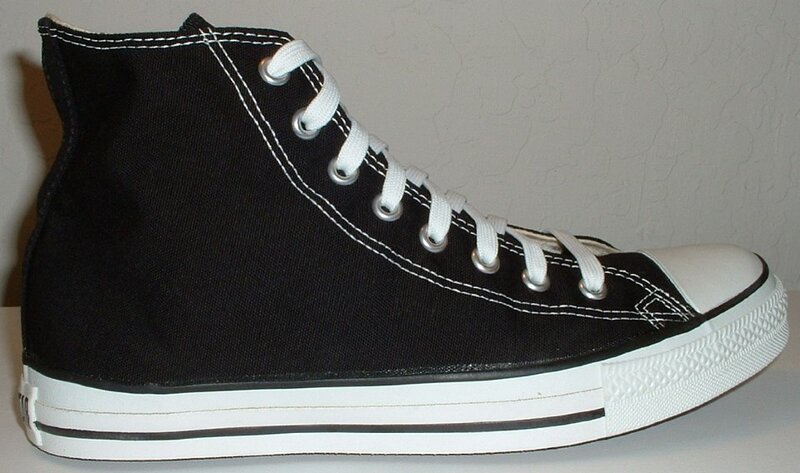 1 Core Black High Top Chucks Inside patch view of a right black high top. 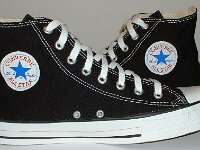 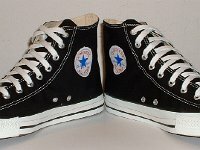 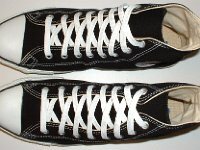 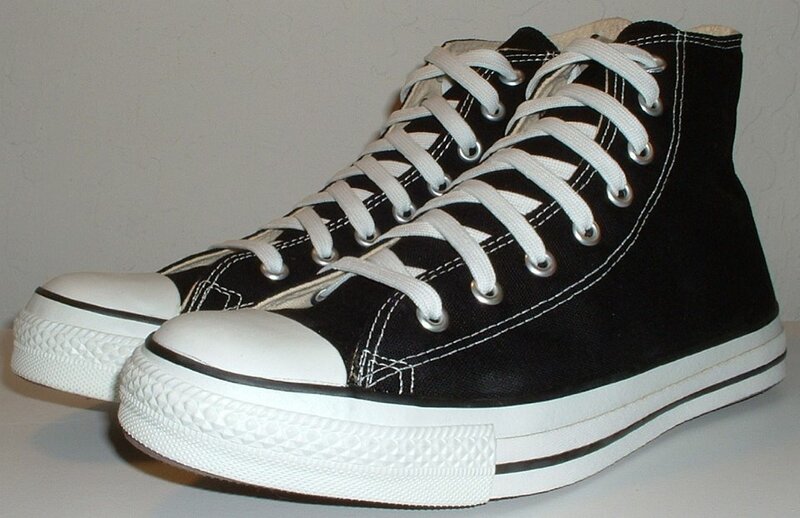 2 Core Black High Top Chucks Outside view of a right black high top. 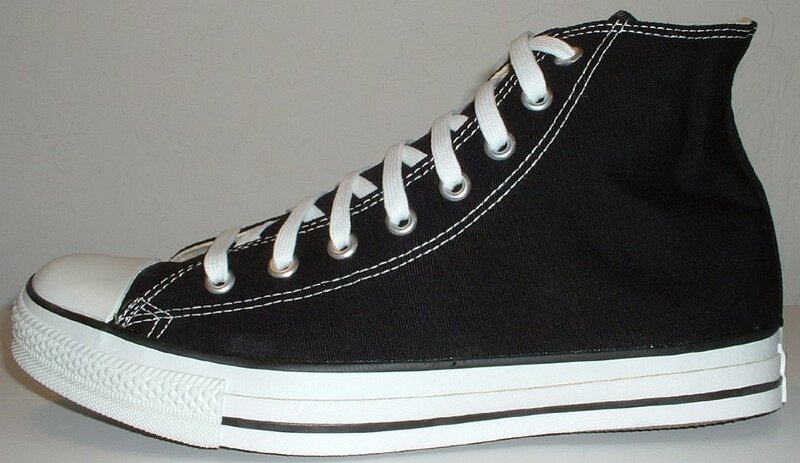 3 Core Black High Top Chucks Inside patch view of a left black high top. 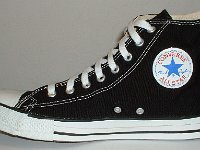 4 Core Black High Top Chucks Outside view of a left black high top. 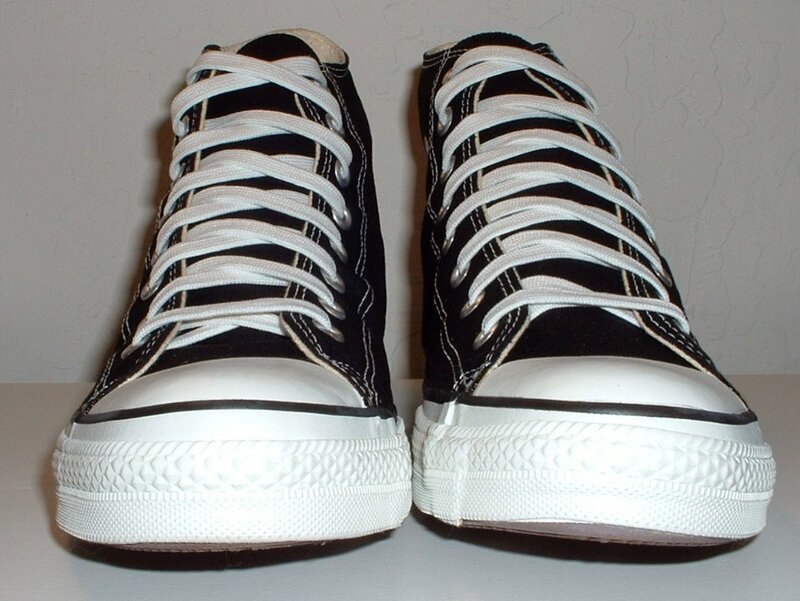 5 Core Black High Top Chucks Outside view of a left black high top. 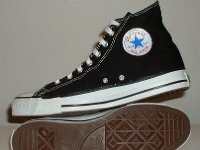 6 Core Black High Top Chucks Angled side view of black high top chucks. 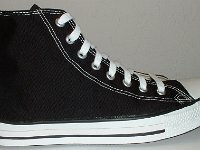 7 Core Black High Top Chucks Front view of black high top chucks. 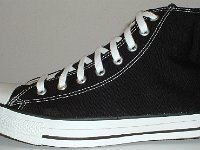 8 Core Black High Top Chucks Top view of black high top chucks. 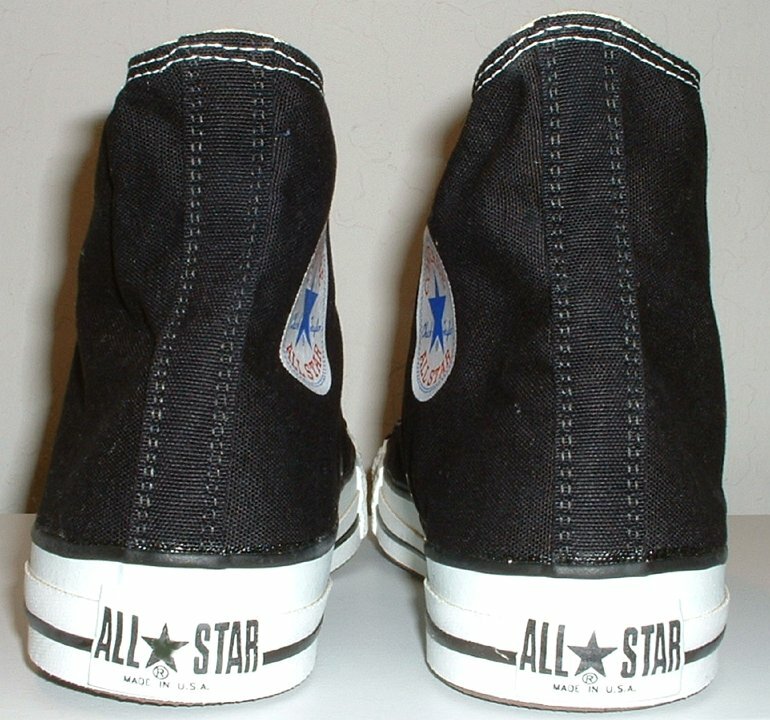 9 Core Black High Top Chucks Inside patch views of black high top chucks. 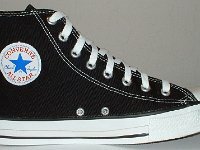 10 Core Black High Top Chucks Angled inside patch view of black high top chucks. 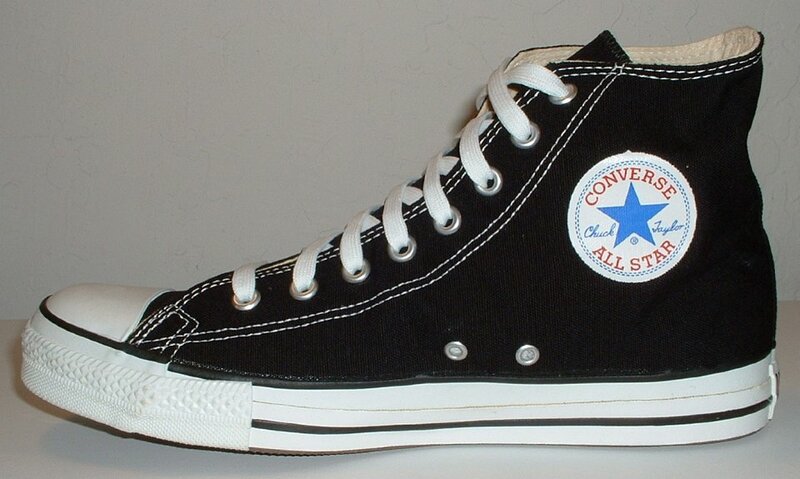 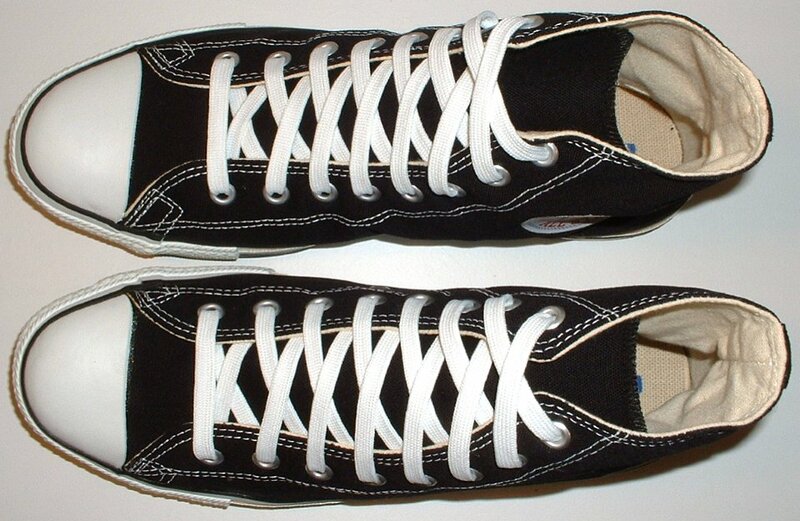 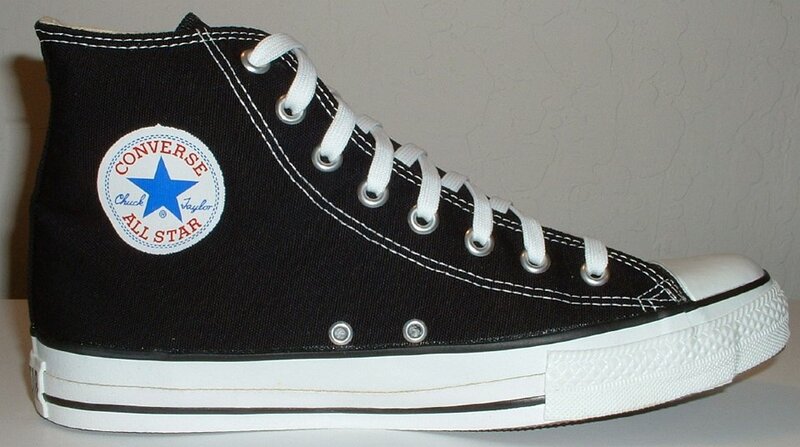 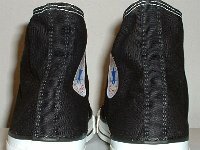 11 Core Black High Top Chucks Inside patch and sole views of black high top chucks. 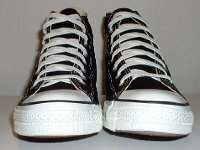 Core models of chucks are always available for sale and are in continuous manufacture. 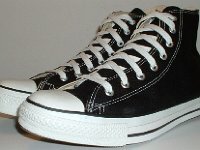 They are always available in half sizes as well as whole. 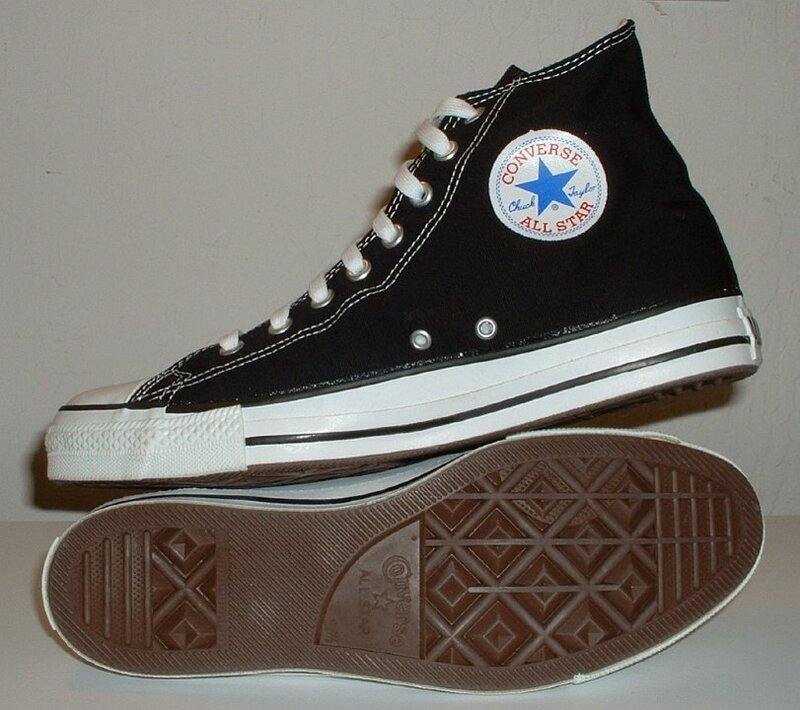 This black high top core model was first made in the late 1940s.